The late 19th century witnessed unprecedented musical growth in the United States, and it is impossible to imagine a Copland, an Ives or even a Gershwin without the pioneering groundwork of the �Boston Six�, of whom John Knowles Paine was the senior member. 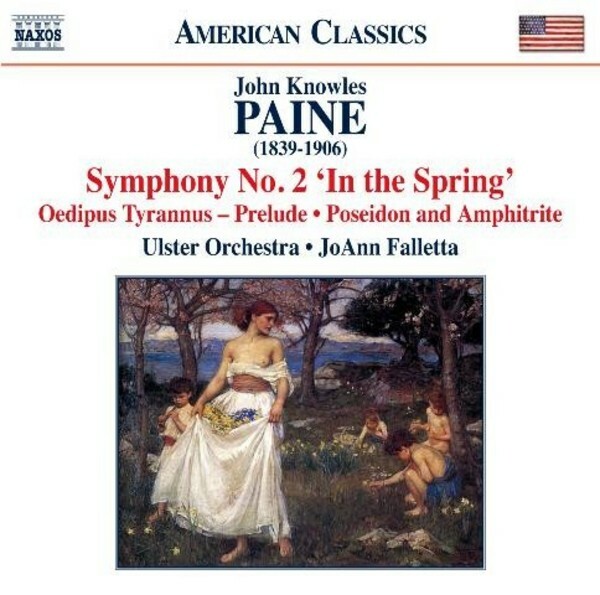 Favourite among his own works, Paine�s Second Symphony was described on its New York premi�re as �a serious, important and totally beautiful work�. His Prelude to the tragic play Oedipus Tyrannus was an immediate hit, while An Ocean Fantasy was his last orchestral piece.